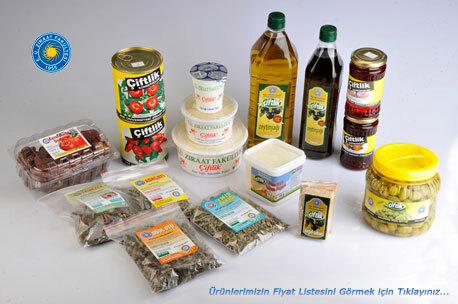 Fresh and processed products from our Menemen Research, Application and Production Farm and Mordoğan Research, Application and Experiment Station are offered for sale in the shops for people living in Izmir. 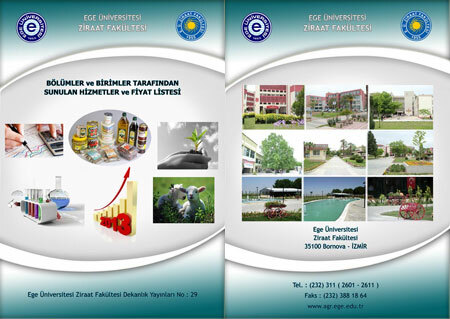 Our faculty has two shops on the campus of Ege University. One of them is close to our faculty and next to the main library and the other is in the entrance of the policlinics of the faculty of medicine. Seasonal vegetables and fruits such as tomato, green pepper, eggplant, melon, water melon, cucumber, zucchini, strawberry and potato, broccoli, cauliflower, cabbage, radish, artichoke, spinach, leek, celery, lettuce, onion, grape, peach, plum, apricot, pomegranate, olive,citrus tangerine and orange are the ones sold. 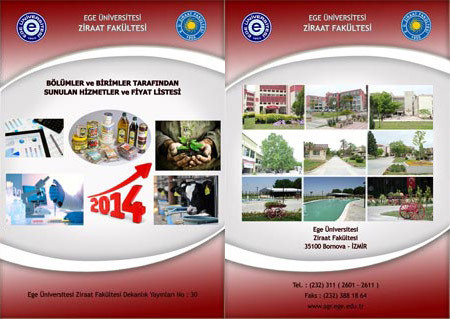 Most of our products have organic production certificate. Dairy products such as milk, cheese, butter, cream, yogurt, curd, kefir, ayran and egg from our Menemen Research, Application and Production Farm can also be purchased from our shops. In addition to the fresh vegetables and fruits, processed products such as tarhana (traditional Turkish soup), noodles, pepper and tomato paste, various jams, table olives, olive oil, dried tomato, dried eggplant, raisins and pickles are also offered for sale. Thyme, melissa (lemon balm), sage and echinacea are medicinal and aromatic plants grown at our farms and can be obtained from our shops. Please check with the link for the price list of some our products. 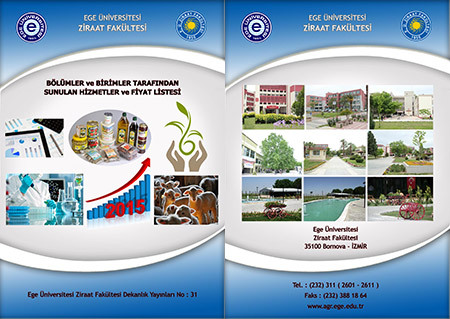 Fakültemizde yapılan ürün ve hizmet faaliyetlere ilişkin bilgilerin yeraldığı "Bölüm ve Birimler Tarafından Sunulan Hizmetler ve Fiyat Listesi" isimli yayının pdf formatı asağıda sunulmustur.